The Model 255 tool is sized for high-speed production applications, up to 20 fastener installations per minute. 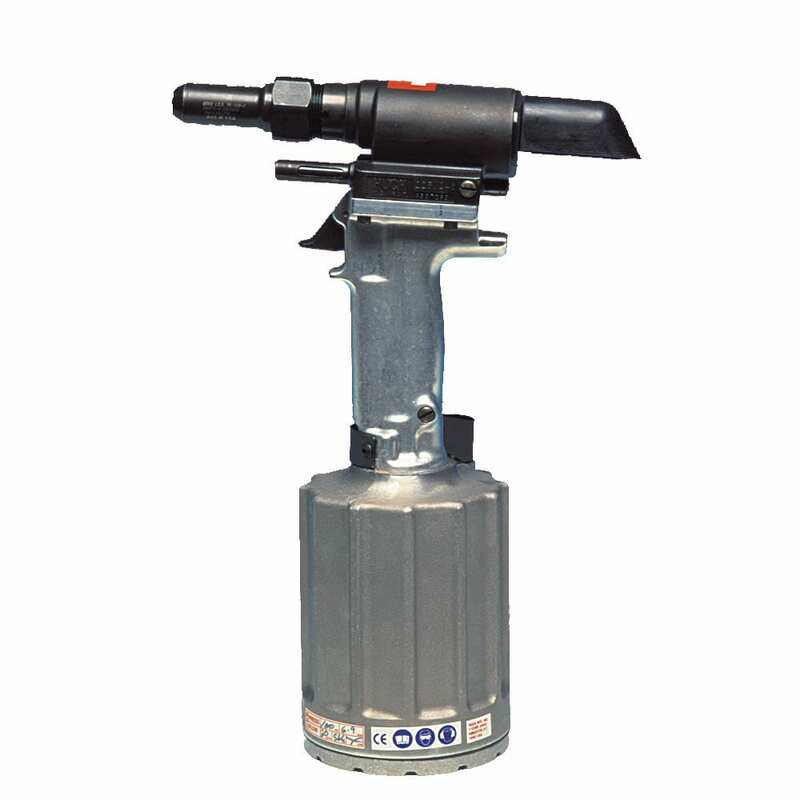 This tool can install fasteners up to 3/8" steel C6L HuckBolts, with optimum stroke for one-cycle installations. A versatile tool, the Model 255 features an concentric (inline) pull piston and new front gland design, allowing for easy piston removal. Plated piston rods in the Model 255 extend the life of the seals. The 255 is factory-tested for 2000 cycles, ensuring a high level of reliability. Despite its outstanding production capacity, the Model 255 weighs only 8.80 pounds. Contact us online or call (866)748-3876 for ordering and shipping information on the Huck 255 Pneudraulic Tool / Huck Model 255 Rivet Gun. Have Questions about Huck Pneudraulic Tools? Contact us online or call toll-free (866)748-3876 in the U.S. and Canada for help with the Huck 255 Pneudraulic Tool / Huck Model 255 Rivet Gun.